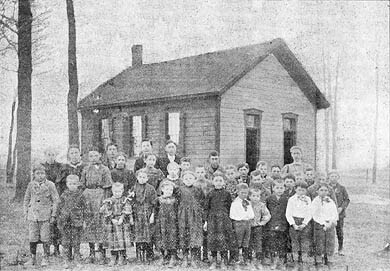 Greeder School students in circa 1898. DISTRICT BOUNDARIES Northern part of Grant and parts of the south halves of Oneka and Marine. The district boundaries were redrawn in 1877. 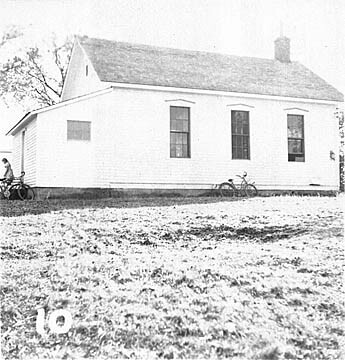 When the schoolhouse burned in 1859, the windows, doors and books were salvageable. It only took a week and a half to rebuild the school, with the help of the community. Consolidated with surrounding districts in 1950s.